CONFIDENTIAL R.S.I. 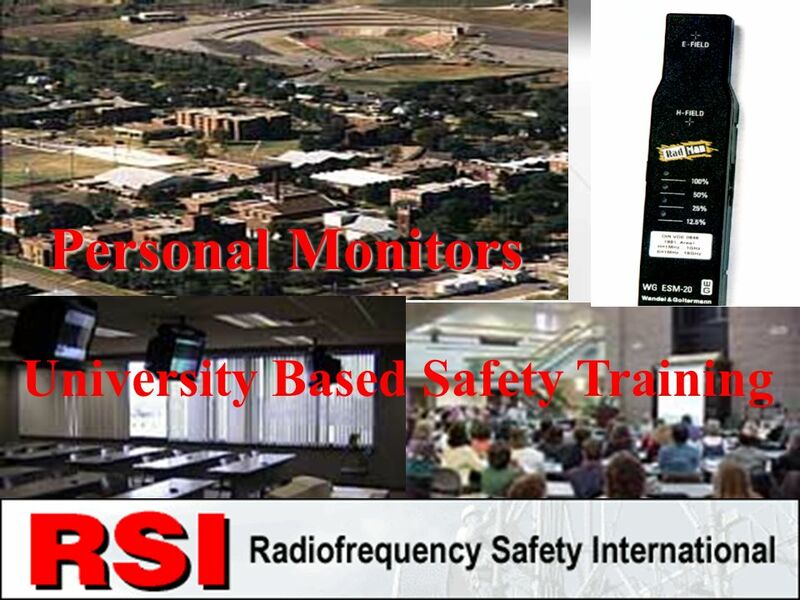 CORPORATION University Based Safety Training Personal Monitors. 2 CONFIDENTIAL R.S.I. 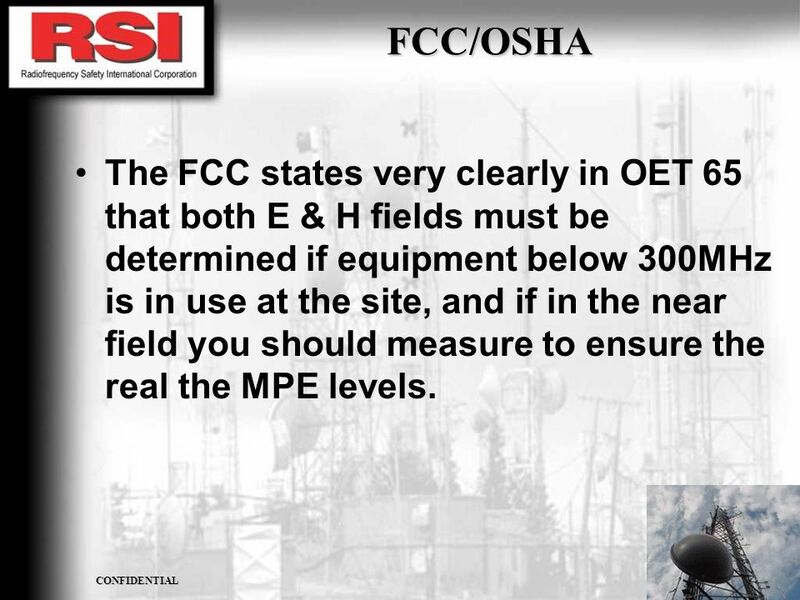 CORPORATION FCC/OSHA The FCC states very clearly in OET 65 that both E & H fields must be determined if equipment below 300MHz is in use at the site, and if in the near field you should measure to ensure the real the MPE levels. 4 CONFIDENTIAL R.S.I. 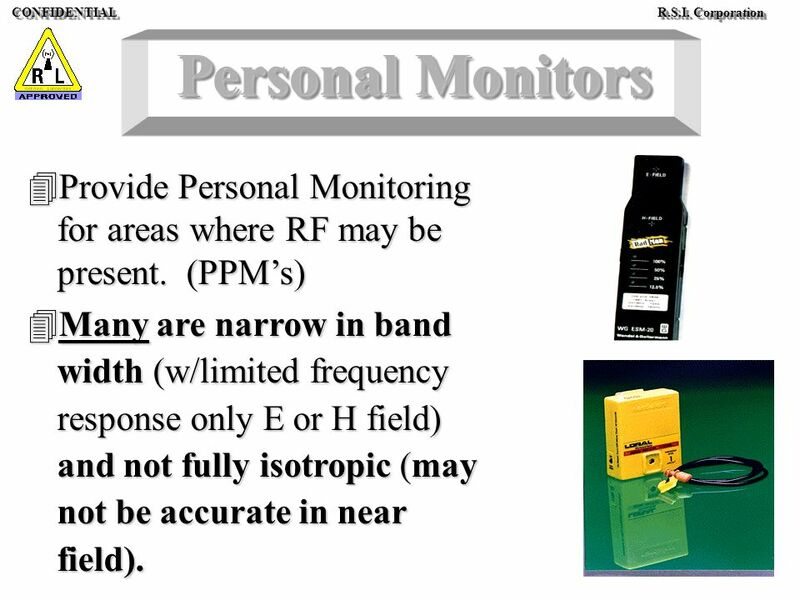 Corporation Personal Monitors 4Provide Personal Monitoring for areas where RF may be present. 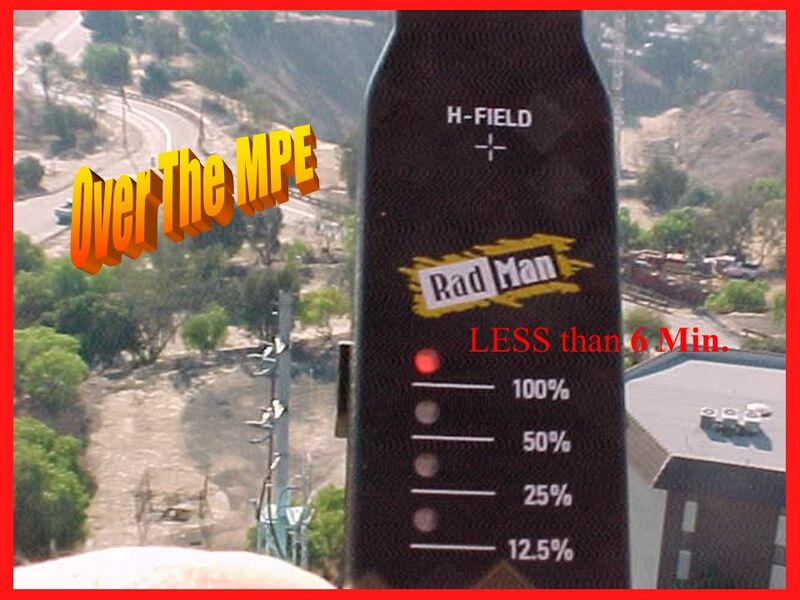 (PPMs) 4Many are narrow in band width (w/limited frequency response only E or H field) and not fully isotropic (may not be accurate in near field). 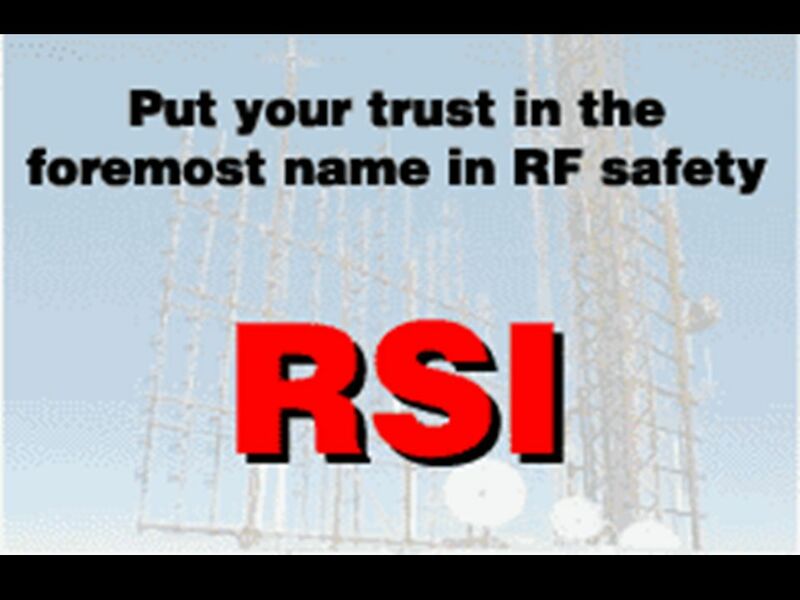 5 CONFIDENTIAL R.S.I. CORPORATION PPE Use PPE can offer a high degree of protection only if it is used properly. 8 CONFIDENTIAL R.S.I. 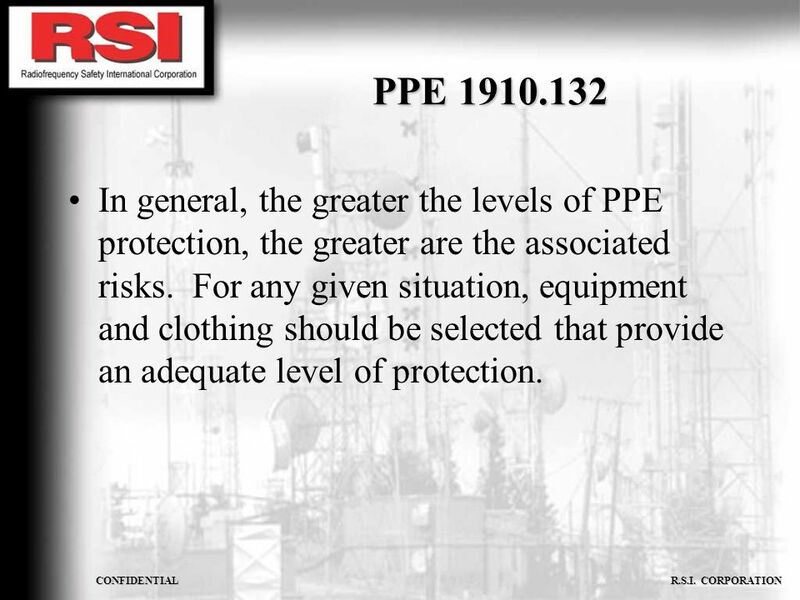 CORPORATION PPE 1910.132 In general, the greater the levels of PPE protection, the greater are the associated risks. For any given situation, equipment and clothing should be selected that provide an adequate level of protection. 9 LESS than 6 Min. 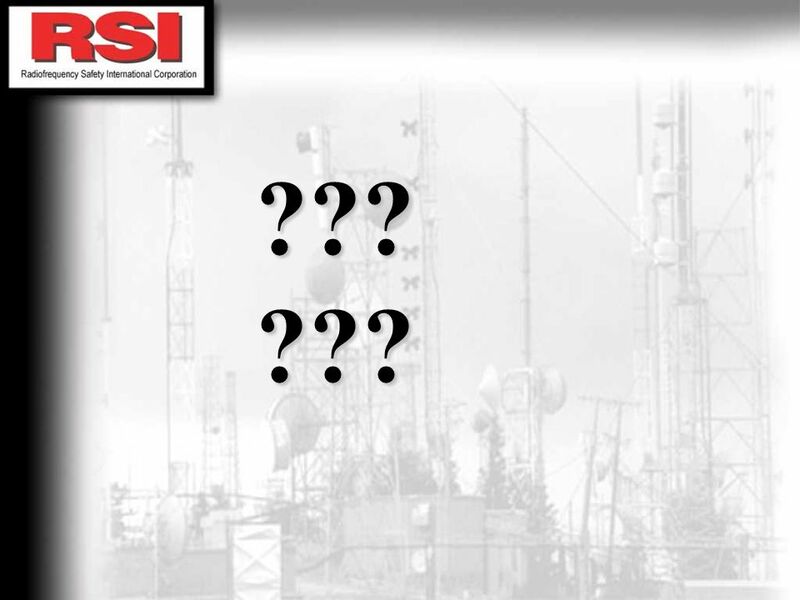 15 CONFIDENTIAL R.S.I. 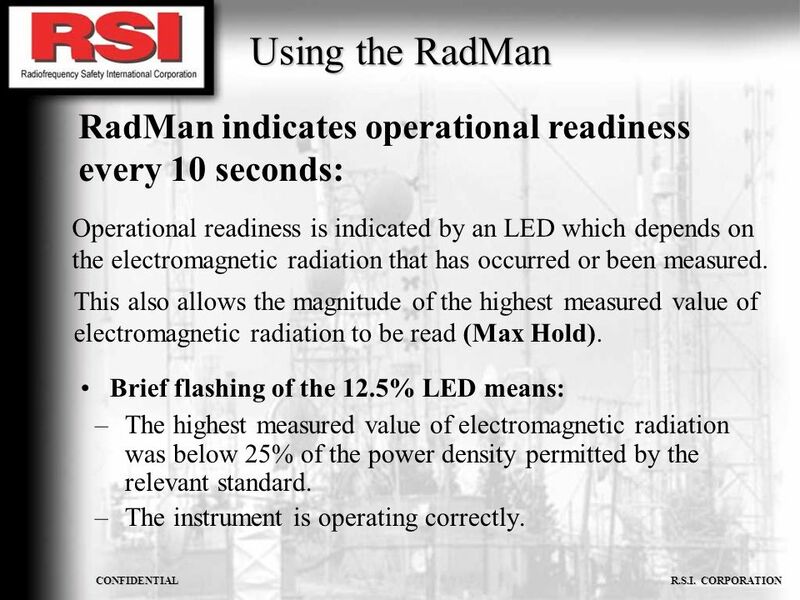 CORPORATION Using the RadMan Step 1: LED check. Step 2: Battery charge state check. Step 3: Function check of H-field sensor. Step 4: Function check of E-field sensor. 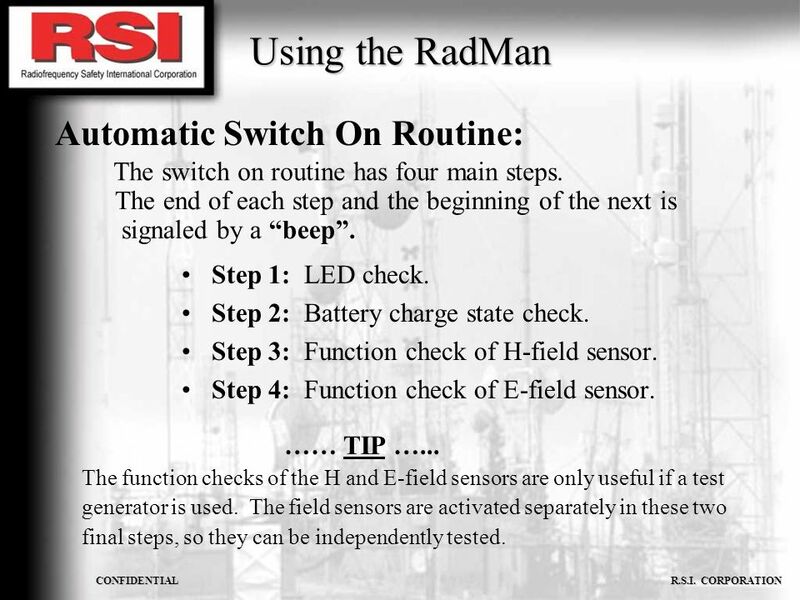 The switch on routine has four main steps. The end of each step and the beginning of the next is signaled by a beep. 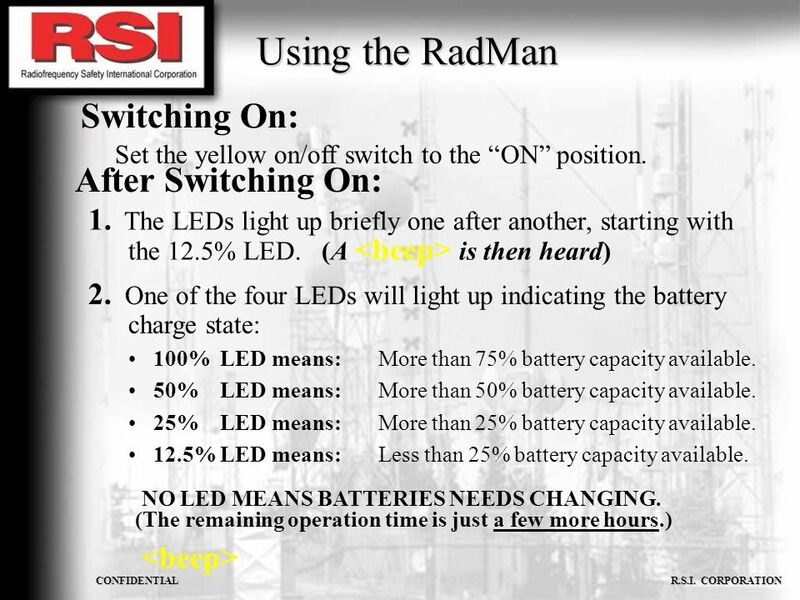 Automatic Switch On Routine: …… TIP …... 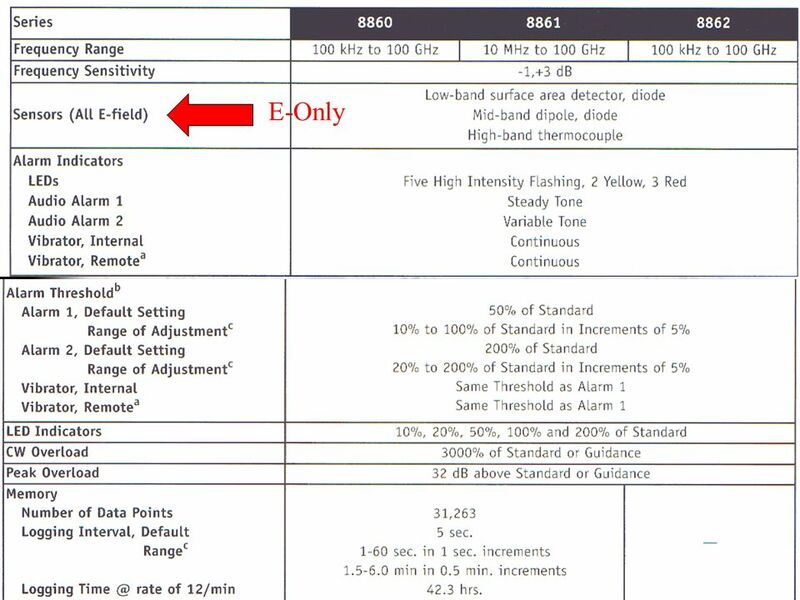 The function checks of the H and E-field sensors are only useful if a test generator is used. The field sensors are activated separately in these two final steps, so they can be independently tested. 17 CONFIDENTIAL R.S.I. CORPORATION 3. 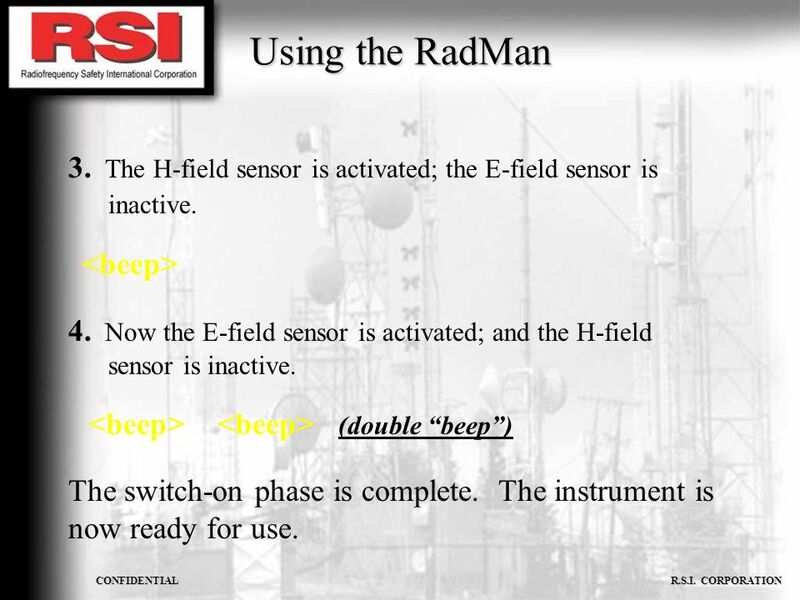 The H-field sensor is activated; the E-field sensor is inactive. 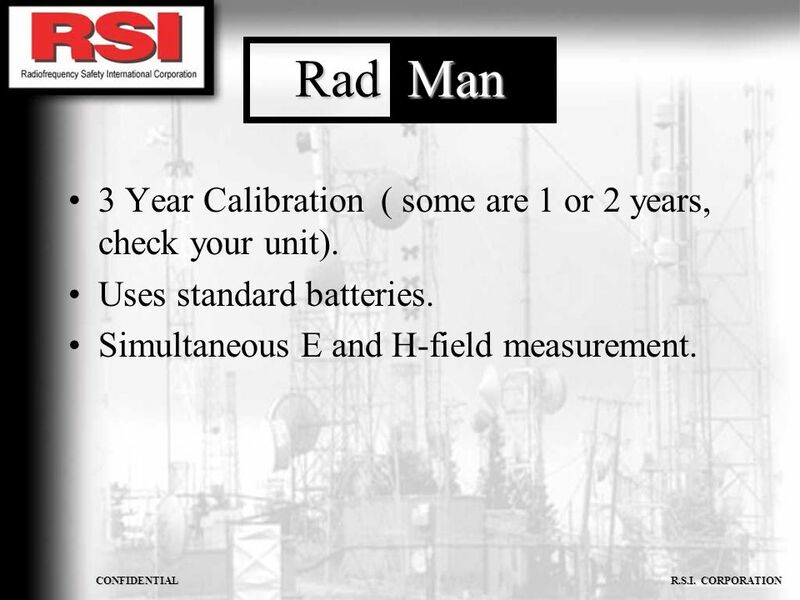 Using the RadMan 4. Now the E-field sensor is activated; and the H-field sensor is inactive. (double beep) The switch-on phase is complete. The instrument is now ready for use. 18 CONFIDENTIAL R.S.I. CORPORATION The E and H fields are measured simultaneously during operation. The larger of the two values is displayed. If electromagnetic radiation is present, the RadMan indicates the magnitude of the radiation level by means of four LEDs. (Alarms are also signaled by a beep from the loudspeaker.) 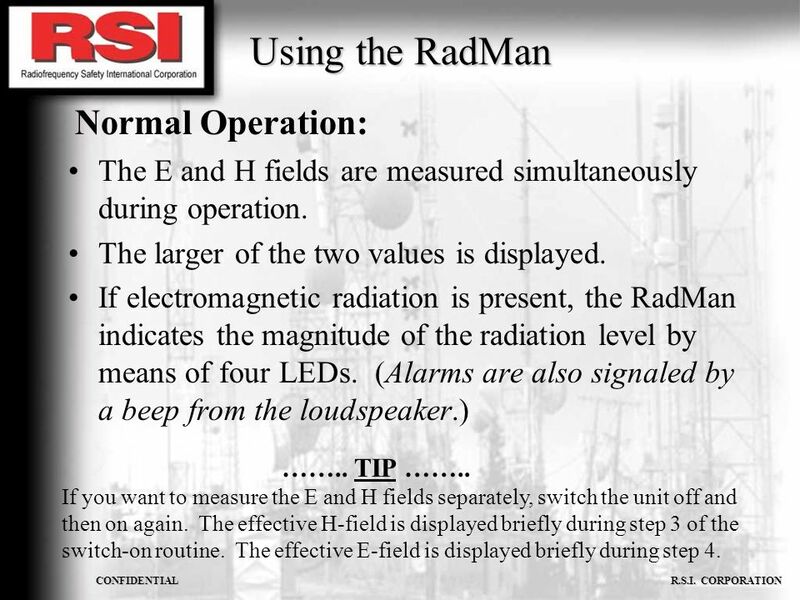 Using the RadMan Normal Operation: …….. TIP …….. If you want to measure the E and H fields separately, switch the unit off and then on again. The effective H-field is displayed briefly during step 3 of the switch-on routine. The effective E-field is displayed briefly during step 4. 20 CONFIDENTIAL R.S.I. CORPORATION PPE 1910.132 No single combination of protective equipment and clothing is capable of protecting against all hazards. 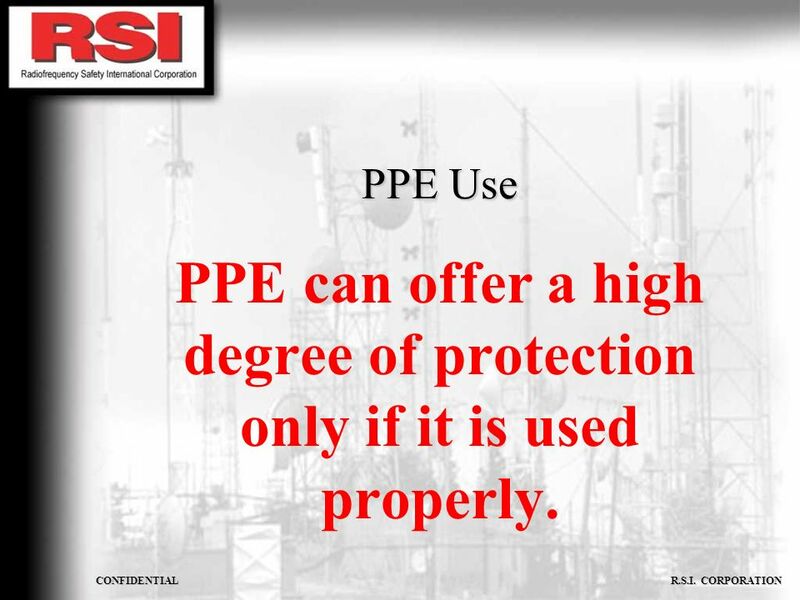 Thus, PPE should be used in conjunction with other protective methods. 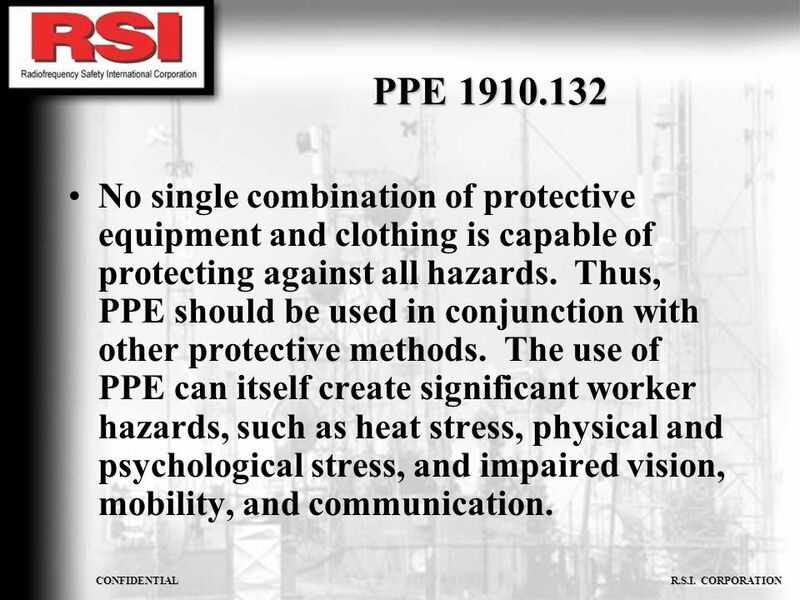 The use of PPE can itself create significant worker hazards, such as heat stress, physical and psychological stress, and impaired vision, mobility, and communication. 22 CONFIDENTIAL R.S.I. 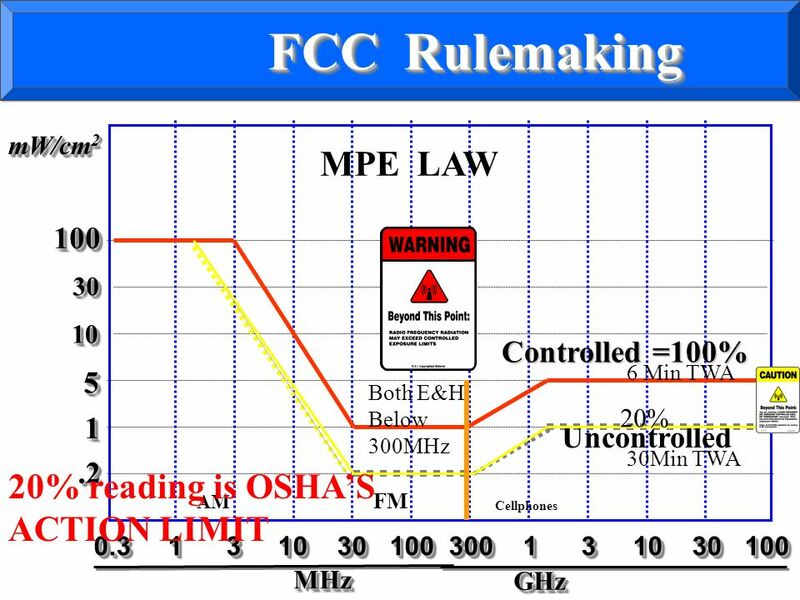 CORPORATION The highest measured value of electromagnetic radiation was at least 100% of the power density (Note it could be over 1000% of the field strength) permitted by the relevant standard. 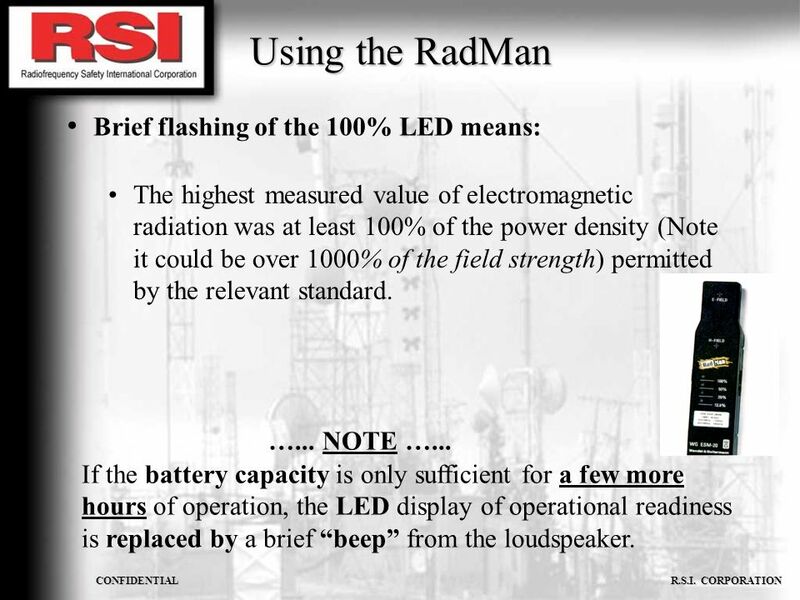 Using the RadMan Brief flashing of the 100% LED means: …... NOTE …... If the battery capacity is only sufficient for a few more hours of operation, the LED display of operational readiness is replaced by a brief beep from the loudspeaker. Download ppt "CONFIDENTIAL R.S.I. 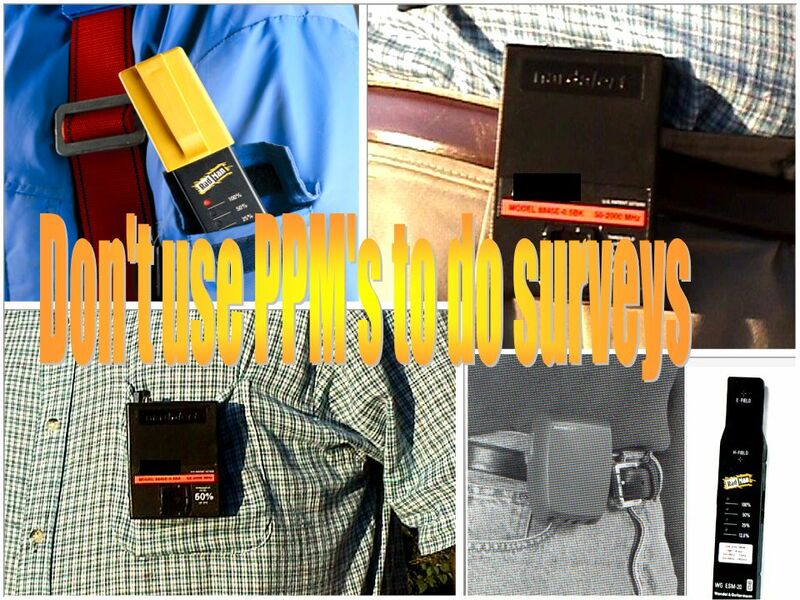 CORPORATION University Based Safety Training Personal Monitors." 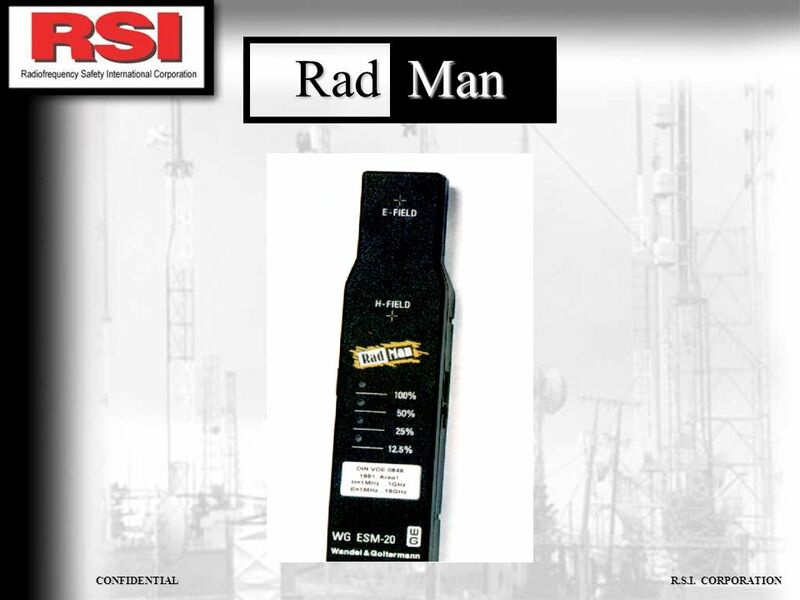 Use or disclosure of the information contained herein is subject to the restrictions on the Cover Page Lockheed Martin Aeronautics Company 1 Copyright. CONFIDENTIAL R.S.I. CORPORATION HEALTH EFFECTS RSICORP.COM. CONFIDENTIAL R.S.I. 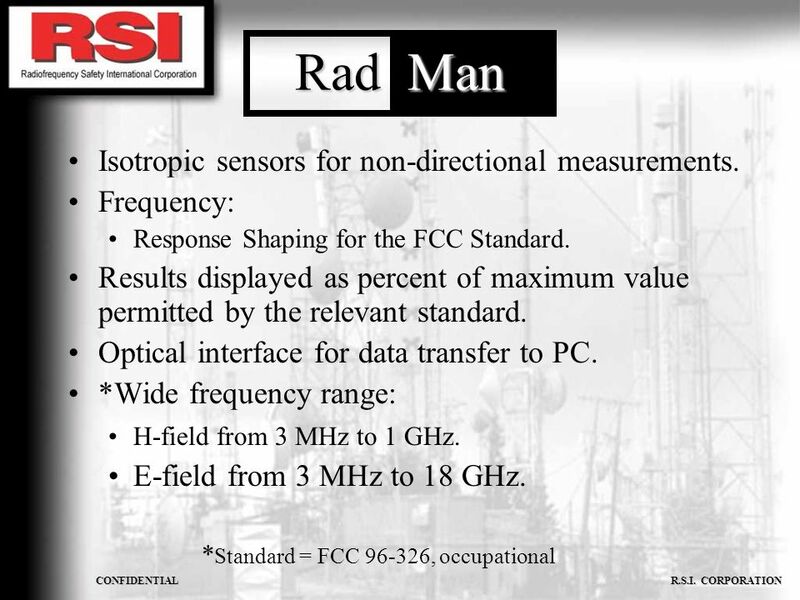 CORPORATION RF Controlled Exposure Hazards Only Competent People can work in RF C ontrolled Areas. Leaders in Light Perfect for Raman. Agenda Short corporate profile Advantages of the Starbright technology Our demanding quality assurance programme Overview. 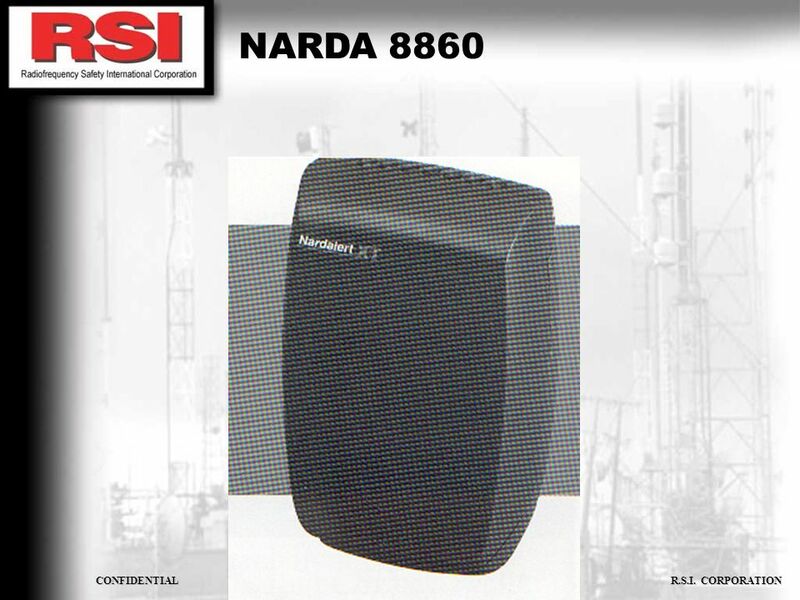 P. M. Livingston (Presentation from a few years back) An 80 meter Aerostat-borne Phased Array for Field-Day. 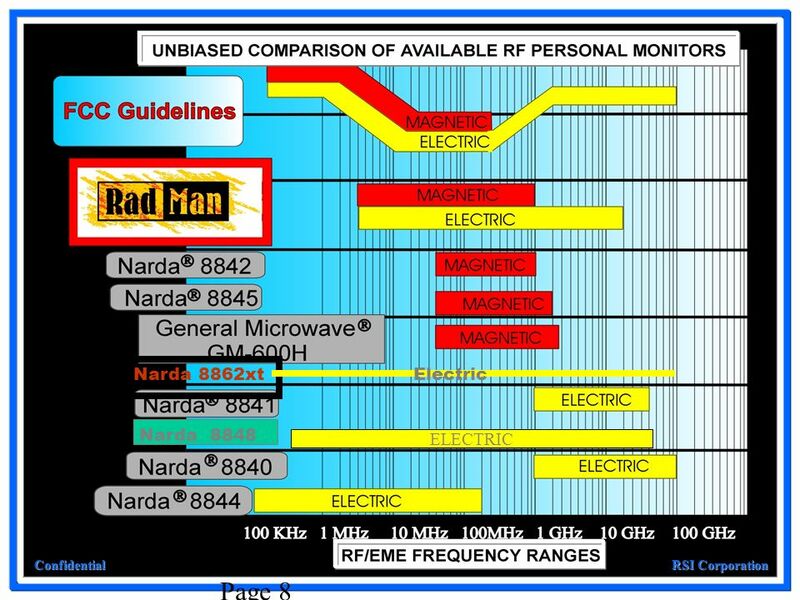 XFEL C+C HARDWARE : REQUIREMENTS 1) To receive, process and store Timing Signals from TR ( Timing Receiver ) in same crate : - 5 MHz Bunch CLOCK - Bunch.